Clearanail - A revolutionary treatment which helps eradicate fungal nail infections. 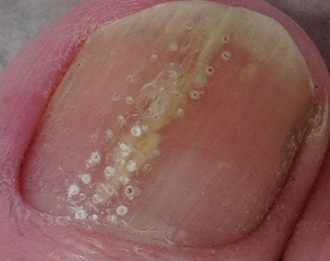 Clinically proven, Clearanail™ is an innovative new concept in the treatment of fungal nails. Using controlled micro penetration, micro pathways are painlessly drilled into the nail plate allow deeper acess to the areas of infection without damaging the nail bed beneath. 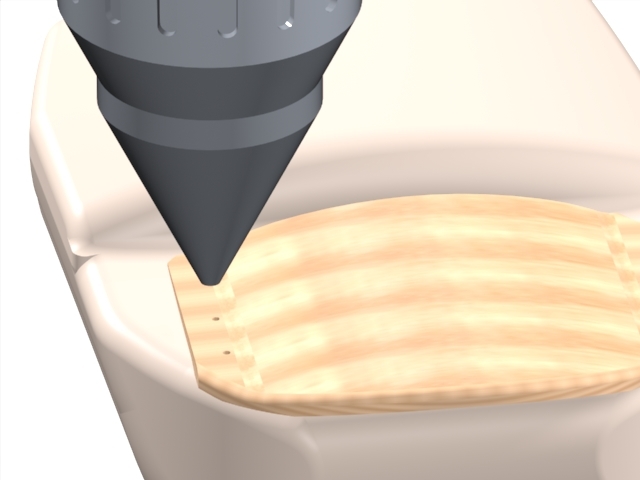 Takiing less than five seconds to complete, the normally impermeable structure of the nail is made permeable making the centre of infection accessible. Active topical treatments can then be applied directly and in higher concentration which, with regular use will clear the infection leading to healthy looking nails in a much shorter space of time. Clearanail™ treatment can only carried out by qualified professionals and we are delighted to offer this service here at The Parkgate Chiropody Practice to our patients. So, if you are fed up with the appearance of your nails, ask us about this simple solution to a complex condition. Take the first step now to happy, healthy beautiful feet you'll want to show off! For more information or to book an appointment, click here to send us an email or call us on 01709 522334. Don't miss out on wearing your glamorous open toe shoes for the party season! Many people prefer to hide their feet and toes away especially if they have concerns about the appearance of them. Well now help is available to diminish the problem for good with modern cosmetic toe nail correction! This treatment can only carried out by qualified professionals and we are delighted to offer this service here at The Parkgate Chiropody Practice to our patients. Our feet carry us around all of lives day in, day out patiently and dutifully. They have to tolerate every day stress such as standing for too long at work, tight shoes, insufficient airing and too much moisture, Our feet deserve better, they want to be well cared for, beautiful and to be seen! 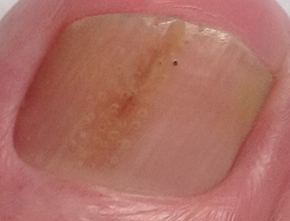 With the development of modern corrective materials, nail problems can be treated permanently and successfully. Being anti-mykotic, Wilde Pedique Plus is an especially effective treatment for fungal nails. It can be used on scaly nail surfaces to fill in and disguise any deformaties or ridges. It is even suitable for protecting newly growing toe nails after nail surgery once the site is healed or to restore a partially damaged or lost toe nail providing an attractive cosmetic result. Wilde Pedique Plus is a liquid resin gel which is applied and cured under a special light unit. Remaining flexible, it adjusts to the natural movement of the nail and feet and feels completely natural as it fits the contours of the nail bed perfectly. Available in many shades, we can select a colour to match your other nails or with sufficient opacity to cover any discolouration within the nail bed. The gel sets instantly meaning the treatment only takes 10 minutes. The great thing is it's inexpensive too and only requires infills every 4 - 6 weeks until it is no longer required. And of course, the new "nail" can be painted with your favourite nail polish! Winter is almost here again but don't let the cold weather leave you hobbling on painful chilblains or desperately trying to restore circulation into icy toes. There are many simple steps you can take to avoid getting cold feet and some of the more serious problems which can arise when they are exposed to extremes of temperature. People go to great lengths to pamper their feet and make them look their best during the summer months when they are more likely to be on show, but during the winter, feet are often forgotten and neglected. Many people simply do not wear enough on their feet when the temperature plummets, most fashion footwear simply does not provide adequate protection from the cold. Ideally you should be wearing warm socks and shoes with an encased upper and thick sole, lambswool insoles are ideal for extra warmth and protection when its freezing outside. A sole with good grip is essential too to prevent falls resulting in sprains and fractures. 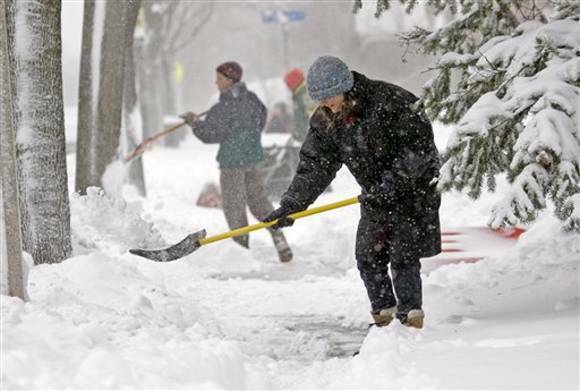 Those who suffer with poor circulation and related disorders such as peripheral vascular disease are likely to suffer especially during cold weather. Raynaud's Syndrome, a condition where the small blood vessels in the fingers and toes go into spasm and restrict circulation, can also be triggered by exposure to extreme temperatures. Affecting women more than men, Raynaud's Syndrome causes the digits to feel cold and numb with the sensation of pins and needles as they turn blue and then red. Episodes can last from a few minutes to several hours. Poor circulation can also put you more at risk of painful and itchy chilblains but these can equally affect people who work outside or in a cool environment without adequate footwear. Tight shoes which constrict the circulation can also cause chilblains if worn consistently during freezing temperatures. Whilst chilblains can be eased with witch hazel or calamine lotion, they can lead to ulcers and infection so they should be taken seriously and prevented where possible. Feet need to be kept warm and protected so don't be tempted to step outside without shoes even just to pop something in the dustbin during cold spells. It's important to to wear slippers around the house and even bed socks if your feet are susceptible to the cold. Never expose your feet to a direct source of heat such as a radiatior, hot bath or hot water bottle especially if they have become very chilled. Allow them to warm gradually, massaging them gently to stimulate circulation. Apply moisturiser after bathing to keep the skin supple and prevent cracked heels which can also lead to infection if not cared for properly. And keep your feet active! If you have to sit down for protracted periods, rotate and flex your feet and ankles to improve blood flow. Please contact us or call us on 01709 522334 for more advice and information on keeping your feet fit and healthy during the winter months. Introducing Barbara Ross RGN MSc BA (Hons). Barbara has over 30 years experience as a leading clinician in pain clinics treating patients with a wide variety of problems. Specialising in Reflexology and Acupuncture, Barbara is a registered member of the British Medical Acupuncture Society. With over 20 years experience, our accredited practice cares for all your foot health needs. Please contact us or call us on 01709 522334 to find out more or book a time convenient for you. 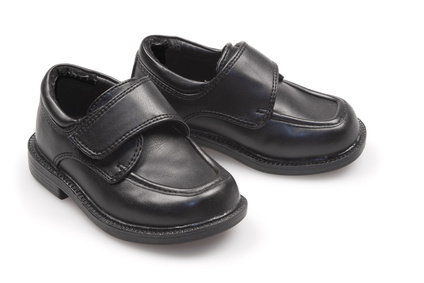 At this time of year, many parents will be faced with the daunting task of selecting the first pair of school shoes for their children and maybe replacing outgrown shoes for older children. Correctly fitting shoes are essential to ensure children's feet grow properly to prevent painful problems such as corns, calluses or hammer toes mostly caused by wearing ill fitting shoes as children. But with a bewildering choice of styles available, and sometimes a child's determined sense of fashion to satisfy, shopping for school shoes can be a confusing business! So here's a guide to finding the right shoes for your children. The heel supports the rest of the foot and must be held in a straight position so it does not lean in or out too much which can lead to postural problems in later life. If you can easily press the sides of the heel on the shoe, it won't provide enough support for a growing foot. Essential to stop the foot slipping forward inside the shoe causing the toes to scrunch and claw. This can lead to permanent damage such as hammer or clawed toes. Make sure the sole is flexible around the ball of the foot with sufficient cushioning. Avoid shoes with soles which allow the shoe to be rolled up or bent in half. The rest of the sole should be robust enough for walking, running and skipping! Active feet sweat, so if the shoe material does not allow the foot to breathe, fungal infections can occur, not to mention unpleasant odours! These have insufficient heel support and can cause children to walk with their toes pointing out which can cause knee and joint problems. These are too flat and flimsy and don't offer enough arch support. Without a strap over the instep can also mean toes are scrunched to keep them on active feet! These should only be worn as slippers as they don't offer enough support for daily wear. Very flat shoes can cause arch fatigue and pain which can lead to long term flat feet, knee or back pain. A small heel height, approx 1cm, is ideal, anything higher than this will put too much pressure on growing toes. Choose a shoe with a toe box that is high and wide enough to fit comfortably, with either a rounded or square shape. Avoid pointed toes! Do get your child's feet measured regularly. Young feet tend to grow in spurts so should be checked at least every six months. If the shop you are buying from doesn't offer a measuring service, ensure there is thumbnail's width between their toes and the end of the shoe to allow for growth and movement when the child is standing in the shoes. Do encourage your children to go barefoot, when safe. This will allow them to wriggle their toes and strengthen their feet. Well fitting trainers are fantastic for growing feet, particularly if your child is prone to flat feet. Shoes quickly mould themselves to the wearer's foot shape so will never fit another person properly. Shoes which are too tight will prevent the foot from forming properly which could result in permanent damage. If you have any concerns about your children's feet, please contact us or call us on 01709 522334. We specialise in caring for growing feet and can give advice and treatments if necessary to correct any problems to ensure your child's feet develop properly. Our principal podiatrists are members of the Society of Chiropodists and Podiatrists and are registered with the Health & CareProfessions Council.